I love banana pudding. I’ve always loved banana pudding, it holds a very special place in my heart. Unfortunately, bananas don’t fit into my eat-seasonal-eat-local lifestyle, so they don’t often show up on our counter (which makes it hard when I’m low on potassium amIrighthoneyweshrunkourselvesfans). Every once in a while, though, we make some concessions for what we like to consider sometimes foods. Growing up, banana pudding was usually a summer treat. 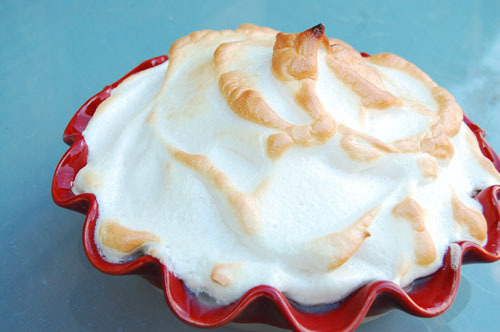 Summer banana pudding has whipped cream on top, as opposed to the meringue that tops winter banana pudding. Banana pudding has this amazing ability to make people feel 10 again. It always brings me back to laying at the swamp house, listening to our family friend Capt’n Fred talk about how Rosemond women made the best banana pudding there ever was. It makes me feel like home, so even though you could definitely argue that it isn’t a pie I thought it deserved a place on the menu this month. 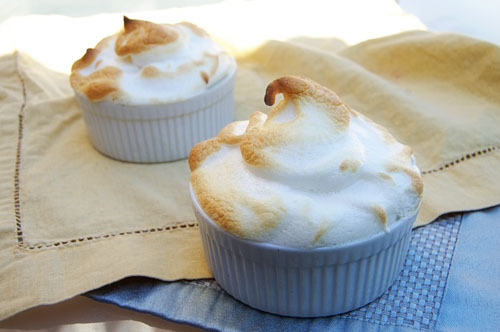 Plus, it has a meringue. And I made it in a pie dish. So there, haterz. This is the perfect opportunity to announce to you, friends, family, pie lovers, that my friend Rachel and I have co-founded the first annual B’Eat More Pie Festival. You’ll remember that last year we competed in the Cville Pie Fest, and that experience left us wanting to do something similar for Baltimore. The festival will be taking place on September 11, 2011 in Baltimore. We are SO excited and think it has great potential. If you’re in the area (or want to travel for pie), we expect to see you there! Start with your pudding. Over medium heat, scald milk (don’t boil it). Mix together sugar and corn starch. When the milk starts to foam a little slowly stir in the sugar mixture, a little at a time. Continue to stir the milk mixture until it thickens and coats the back of a spoon. Stir in butter and vanilla extract. 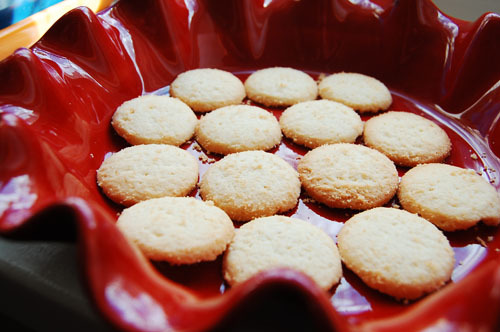 In a pie dish lay down a layer of cookies. Top with a layer of sliced bananas. Top with half the pudding. 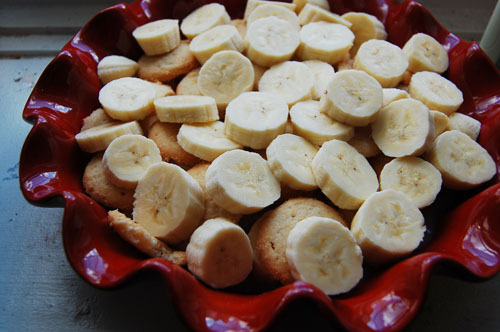 Add a second layer of bananas and cookies. Top with pudding. Whip egg whites, extract, and cream of tartar until stiff. 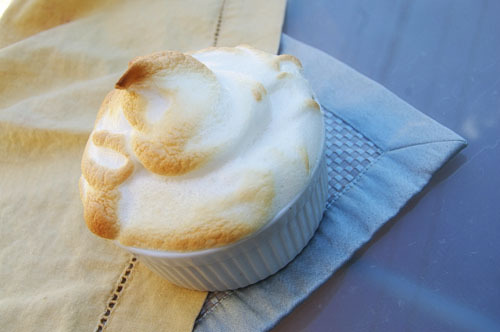 Spread over pudding, making sure meringue goes all the way to the edge of the dish, forming a seal. Cook under the broiler for 7-10 minutes or until golden.